Broaching is a machining method in which a series of cutting teeth each remove a portion of stock as the cutting tool (broach) moves past or through the work piece. 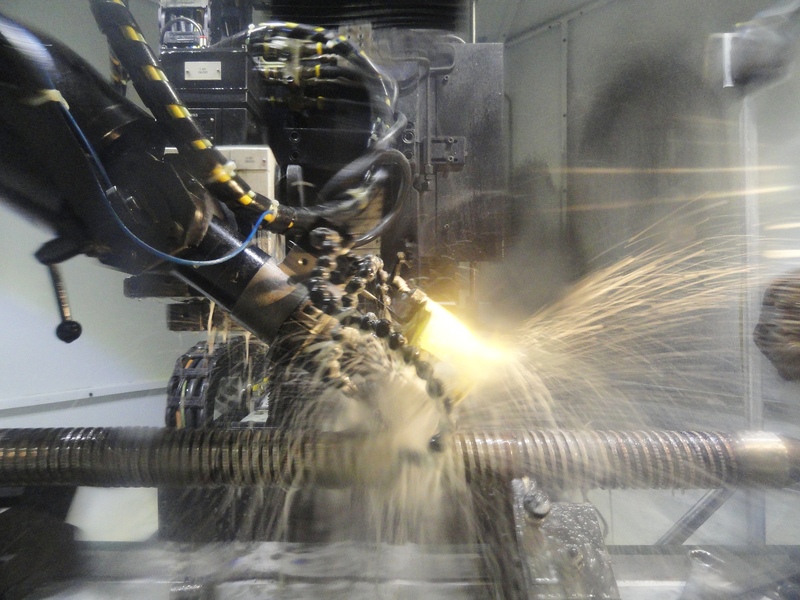 Combining both roughing and finishing in one operation, broaching removes stock to precise tolerance faster than any other known metal cutting process. Because each tooth of the broach removes only a small amount of stock, a properly designed broach, with good care, will produce a large number of parts before requiring sharpening. American Broach & Machine Company, was founded by Mr. Lapointe at the request of Henry Ford, in 1919, in Ann Arbor, Michigan. Today, American Broach continues the tradition of leading the broaching industry in innovation, engineering, and excellent workmanship. American Broach, lead by the "Broachman," Ken Nemec, has moved to a new location (spring 2008), in Ypsilanti, Michigan, just outside of Detroit. With 48 employees, and over 500 cumulative years in the broaching business, American Broach & Machine is combining experience with dedication to customer service, to remain an industry leader. In addition to designing, building, and delivering over 6000 broaching machines, American Broach provides cutting tools for thousands of customers. American Broach & Machine built its first CNC broach tool sharpening machine for broach tool manufacturing over 24 years ago. A recently re-built version of that machine is still making broach tools at American Broach & Machine today. Their recently updated CNC broach tool grinding and re-sharpening machines are built to be fast, accurate, and user friendly. These machines often have requirements to produce parts 24/7, so machine reliability is of paramount importance. The Universal Broach Grinders produced by American can sharpen broaching tools up to 120” in length. The operation requires tight tolerance positioning of up to 6 CNC ball screw driven axes. Linear encoders are used to provide position feedback to the Siemens 840Dsl control system. According to Ken Nemec, “To achieve these tight tolerances, linear encoders are required to accurately position the ball screws. A problem we had is that the broach grinding / sharpening operation requires a high volume of water soluble coolant, which is constantly applied to the part and grinding wheel. We were using optical (glass scale) linear encoders. Water soluble coolant is friendly to the environment, but not to optical encoders!” Several linear optical scale failures created an unacceptable amount of downtime, according to Mr. Nemec. 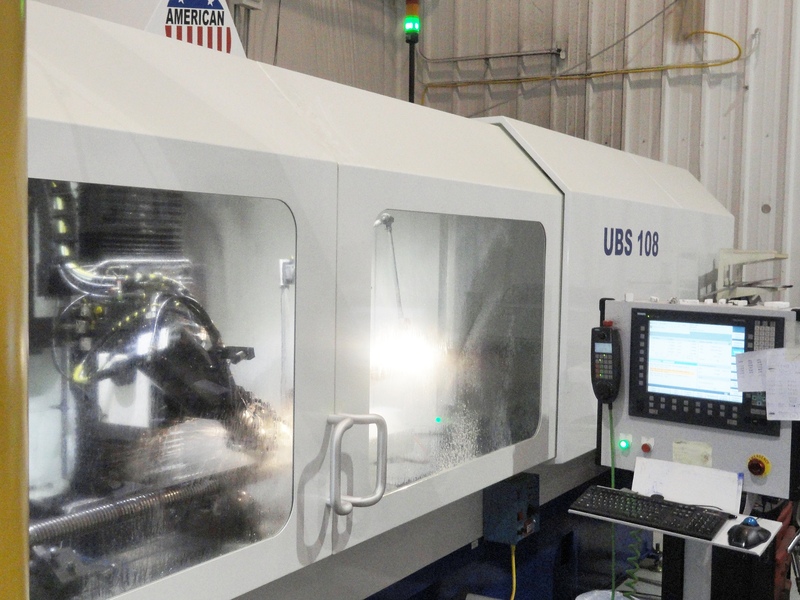 American found a solution when they installed Newall’s 20” and 120” travel SHG-VP linear feedback encoders on a model UBS 108” Universal CNC Automatic Broach Tool Grinding machine. This machine is used in-house year round by American to produce broaches for GM, on a just in time (JIT) basis. All of Newall’s linear encoders carry an IP67 environmental rating and continually provide accurate, reliable readings, even when fully submersed in water, oil or coolant. No other linear encoder matches the durability and reliability of Newall’s linear encoders. Newall linear encoders are available in incremental, absolute and distance coded versions.